William Brooks is an experienced commercial litigator with a business mind. 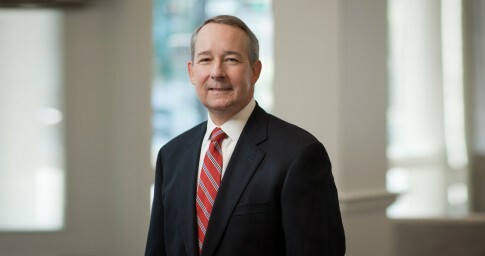 A versatile litigator with a background in business, William has represented a wide range of clients involved in commercial disputes in state and federal courts for almost 30 years. He handles cases for financial institutions; energy companies; product manufacturers; life, health and property insurers; and others. His previous business experience allows him to understand the day-to-day issues his clients face and informs his work at every stage of a case. William maintains a strong appellate practice and is often retained to act as appellate counsel at trial or to handle post-verdict proceedings in cases where he was not trial counsel. He has argued cases before the Alabama Supreme Court and the U.S. Court of Appeals for the 11th Circuit. In addition to his commercial litigation work, William is also a member of the firm’s NCAA Compliance & Investigations practice group. He has assisted a number of collegiate athletics departments around the country with investigations involving alleged infractions of NCAA rules. Appearing before the Division I Committee on Infractions on behalf of several institutions, he obtained successful results from the Infractions Appeals Committee, including the reversal of a postseason ban imposed on the men’s basketball program of a Division I institution. William is the son and brother of Alabama trial lawyers. He is an active member of St. Luke’s Episcopal Church in Birmingham. Representing multiple Division I institutions in infractions investigations and hearings before the NCAA Division I Committee on Infractions and Infractions Appeals Committee. Advising coaches and student-athletes from around the country regarding NCAA compliance and eligibility-related matters. Representing an Alabama-based brick distributor in an appeal of a $12.6 million judgment in a premises liability case. The case resulted in the Alabama Supreme Court’s reversal of the judgment. Representing an international investment firm in a case involving state-law securities claims. The Alabama Supreme Court affirmed the dismissal of all claims brought against the firm. Representing an international tire manufacturer in a product liability case. The Alabama Supreme Court reversed the trial court and held that an inspection of the manufacturer’s facilities was not permissible under Alabama’s Trade Secrets Act. Representing an electrical component manufacturer in trial court and on appeal in a product liability action arising out of injuries occurring in a steel mill. The Alabama Supreme Court affirmed summary judgment in favor of the manufacturer on all claims. Representing a major credit card issuer in multiple actions brought by cardholders. The Alabama Supreme Court upheld the validity of the company’s arbitration agreement, resulting in the dismissal of all claims.